It seems as though the updates have made me ineligible for a skill I bought before the change as the required Magic and level seems to have been increased. I am the correct level but the magic level is higher now. What should I do? Remove the skill and pick another? Keep it because I had and used it before the change? Rework my character? Was about to post in the battle and noticed this. I'd prefer just to rework the character at this point. I switched from Dex to STR because Amarok was only based on STR but now it is STR and DEX and the Job classes introduced that I want are both Dex based. So I'd probably just go back to Dex and not Str and Mag. You'll have no choice but to remove the skill and find a new one to replace it. The skill you are talking about is IMBUE. It doesn't require a quest nor does it require any Gil. You simply need to have the required level and 300 MAG to learn it. Amarok has been that way for quite some time now. It was updated during the time when I announced that I will be removing all the % bonus. You aren't allowed to respec whenever you want. But since you've made no real progress since we started chapter 3, I'll let you respec your stats and skills. Thank you my liege! I shall do so right away and then join the battle. Hopefully I won't need to respec again, or at least not until we are all allowed to do so again. Rewards Dice updated. GREEN Tier has been added. Demon form MAG boost improved. Holy and Dark both deal 50% more damage against one another and 50% less to their same element. You character gains 1 move every 50 Levels. So you'll gain 1 move at level 50, 100, 150, 200, 250. There is no limit to the amount of moves you can have. Chaos Form and Amarok Form reduced move cost of transformation from ALL to 3. Guard Control DEF increase set to 100. For every successful attack you block, you will gain 1 GUARD POINT. Every (1) GUARD POINT increases DEF by 100, based on your original DEF and not your current DEF. Blacksmith's Level and Potion added to plus system. 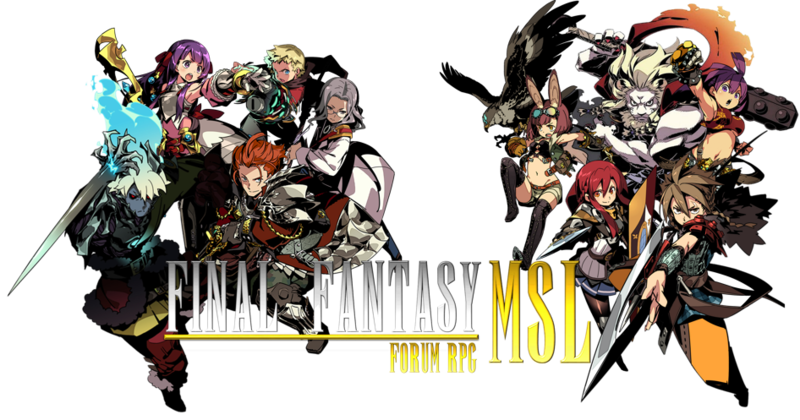 First ever FFmsl world boss coming in chapter 4. Await for further details. Rewards will be based on total damage dealt, total damage prevented. DEFENDING mechanics changed. It no longer reduces damage taken by 50%. Instead it now improves your DEF and MDEF by 50%. Effects only last while DEFENDING. Master Rare Skill Set Added. Shadow Assassin Rare Skill Set added. XP multiplier added to Rewards. Rent A Party NPCs are now free of cost for their creators. But you'll have to make something up in the RP to indicate why they offered their services to your character for free, specially for those whose characters are not connected in anyway to their created RAP..
Its a great way to level up your RAPs and also the additional man power will help you in future quests. Damage multiplied by the number in the box. Dark Knight converted to a Job. Guard Control updated it now reduces by half if not triggered within two turns. Shield Burst updated it now costs SP. DEFENDING has been changed once again. Further reduces the Damage taken by 50% of your DEF (Physical Attack) or MDEF (Magical Attack). Formula: (Damage - Def or Mdef) - 50% of Def of Mdef = Damage taken. Example: 1000 Damage - 300 Def = 700 - 150 Def = 550 Damage Taken. DEFENDING also RECOVERS your Stamina by 10%. The command must be made during the player’s turn phase and cannot be combined with any other command. After this command has been carried out it will end the player’s turn. The DEFEND command consumes all your MOVES. You cannot DEFEND during Reaction Phase, unless allowed by a skill. DEFENDING effect has been reduced to 20% of def or mdef. 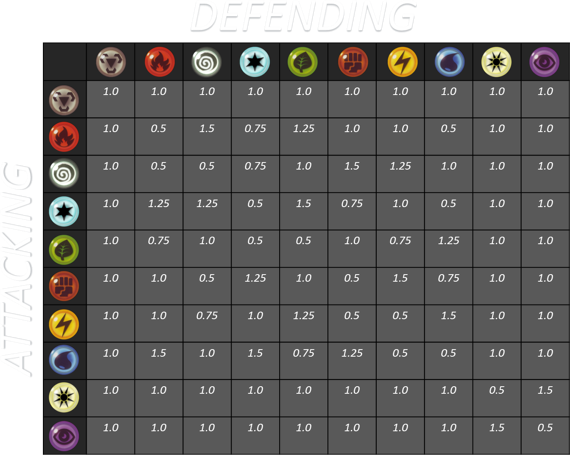 Strength Based (P) attacks updated. Also take note that I'll be increasing the Game's difficulty after the Equipment Event. Moderator XP salary given for May. Update on DEFENDING ^^ We're going back to the old System but with a reduced effect from 50% to the now, 20%. Also Cover is no longer a target that is already using COVER or is DEFENDING. Formula: (Damage - Def or Mdef) *0.8 = Damage taken. Example: (1000 Damage - 300 Def) = 700 *0.8 = 560 Damage Taken.